Are you looking for the safest and best female fat burner to help lose those last few pounds? With so many of these fat burning supplements on the market, it can be difficult to know which one will give you effective fat burning, a low to zero chance of side effects and good value for money. We have taken two popular products that are currently on the market and pitted them against each other in our Leanbean vs Lipo 6 Black Hers review. First up it’s Leanbean, a female fat burner formulated in the UK but made in the US too. It delivers only 100% natural ingredients and is designed specifically for the weight loss needs of women. 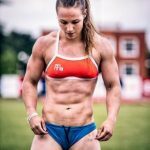 Positive reviews and testimonials are also not hard to find which is probably why it’s become one of the most popular fat burners for women. Lipo-6 Black Hers is another female fat burner with an entirely different tack. Manufactured by Nutrex, a large US company based in Florida, this weight loss supplement claims to be ultra-concentrated and highly potent with a large number of stimulants included. 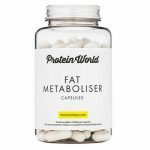 It claims to give you all the benefits of a top female fat burner with a serving of just 1 pill a day. We haven’t seen a product yet that’s been able to deliver in this way so we’ve already got some doubts. Provides an energy boost suitable for workouts. Real testimonials and before and afters. Made by Nutrex, a large supplements company based in Florida. Whilst it doesn’t count towards the performance of the product we did find the design of Lipo 6 unusual. For a start the black packaging doesn’t tie-in very well with a ‘female fat burner’ and the decision to deliver these so-called natural ingredients in black capsules just feels plain wrong. More importantly, however, the ingredients are nearly identical to Lipo-6 Black product for men. This is a definite mark down for Lipo-6 Black Hers as this product does not seem to cater to the biological needs of the female body. 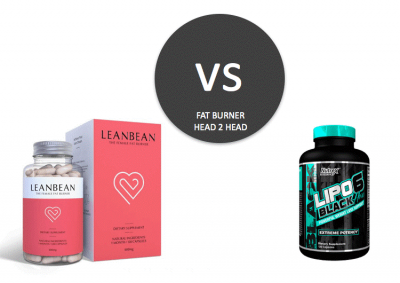 Leanbean vs Lipo-6 Black Hers – Which Has The Best Ingredients? We’ve had a look at the features boasted by these two products – but which weight loss pill has the best ingredients? Both of these products contain vitamin B12, which is an ingredient we like to see in a female fat burner as it provides a natural and safe energy boost suitable for workouts. In the west, many people are deficient in vitamin B12 because there isn’t enough of it in their diets. Dietary supplements that contain a decent amount of B12 are therefore good not only for the energy-boosting effects but also contribute to a healthy and balanced diet. This is a dietary fiber that we love as it soaks up liquids in the stomach and expands, giving you the feeling of being full. Particularly for those who have trouble with over-eating or who have drastically decreased their calorie intake, glucomannan is a must have in any weight loss supplement. Unfortunately, only Leanbean contains this ingredient. We were very disappointed not to see it in Lipo-6 Black Hers. After the FDA banned ephedrine for use in fat burners and weight loss supplements, many supplement companies started using p-synephrine to plug the gap. This is also known as bitter orange and citrus aurantium. Out of our two products, only Lipo-6 Black Hers contains p-synephrine. Although there is some evidence that p-synephrine can help with weight loss and fat burning, it is also incredibly similar to the banned drug ephedrine and a multitude of studies have found that it may inherit adverse side effects. Green coffee – not as weird as it sounds – is the same old coffee beans that we are all used to. The beans are left unroasted, meaning that they keep the naturally occurring chlorogenic acid that is usually lost during the roasting process. This natural compound has been shown to boost the metabolism and aid in fat burning. 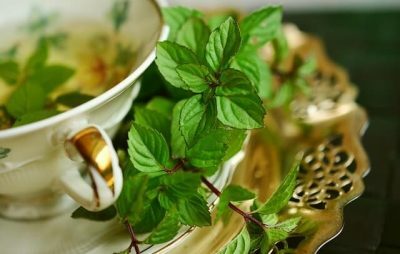 It also functions as a natural source of caffeine, and at just the right amount meaning that the dosage is perfect for women. 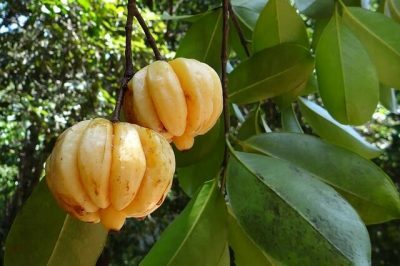 This tropical fruit has become one of the best ingredients for weight loss supplements due to its ability to block the formation of fat cells in the body. Crucial too is its ability to crush your cravings, suppressing your appetite so that you aren’t tempted to sneak a little mid-afternoon snack. 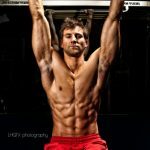 Fat burning is not rocket science it just comes down to picking the right formulation. 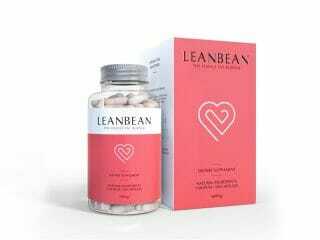 With Leanbean you are getting a multi-faceted approach that includes safe energy boosters alongside potent appetite suppressants. If you are looking for a lot of caffeine in a fat burner then Leanbean wouldn’t be your type of product as it doesn’t contain caffeine anhydrous. That’s not a major issue though as low stimulant fat burners are proven to be just as effective. In fact, the science shows the body gets resistant to the fat burning effects of caffeine very quickly. This is a problem for Lipo 6 as stimulants are the main ingredients inside this little black pill. Caffeine like crashes and difficulty sleeping are just a couple side effects common with certain diet pills. One of the most important things when looking for any weight loss supplement or female fat burner is that you find a product that helps you avoid them. 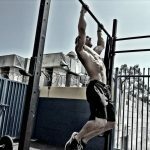 Which is the safest fat burner on the market that works? We’ve researched both these products carefully to see if there’s anything you should be worried about. Paying specific attention to the dosing we can’t see any reason a healthy person using Leanbean could experience side effects. There’s just no aggressive stimulants or diuretics to be concerned about. In terms of Lipo-6, it combines Caffeine Anhydrous with Theobromine, this is strange as these two stimulants have proven to cause side effects in users when taken together. Perhaps it’s not a surprise that Nutrex specifically warns against taking more than the directed amount in all of their literature. Even at the directed dose users have reported jitters, heart palpitations, and nausea. 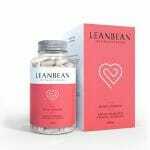 At $59 for a month’s supply, Leanbean is the more premium supplement of the two. That price can be brought significantly down by using the multi-buy discount on the official Leanbean website, which also gets you a money-back guarantee. This is something we like to see as it shows that the company has complete confidence in the results their product offers. A one month supply Lipo-6 Black Hers can be purchased for a few cents shy of $25, making it a product that might more comfortably fit your budget. In terms of absolute pricing, Lipo-6 is perhaps more attractive. The low cost won’t help if the product doesn’t stand up performance wise, however. And here we are – the final verdict. Burns fat and suppresses cravings. A favorite of professional fitness models. Money-back guarantee only available with 3 month supply. Lipo-6 Black Hers seems to be close to the same product as their male diet pill. The main difference being that they added the words ‘for her’ to this fat burner’s marketing. The ingredients seem to be mostly a blend of artificial stimulants, which just doesn’t work for the female body in our opinion. Leanbean, on the other hand, packs in all the key ingredients we are looking for and does so in a transparent way. The fat burning ingredients are 100% natural and safe, the dosing is pretty much perfect, and although you have to pay a premium price we believe the results are more than worth it. Buy Leanbean from the official site!